An up-to-date overview of the different x-ray based methods in the hot fields of nanoscience and nanotechnology, including methods for imaging nanomaterials, as well as for probing the electronic structure of nanostructured materials in order to investigate their different properties. 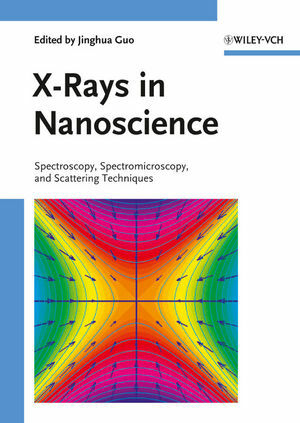 Written by authors at one of the world's top facilities working with these methods, this monograph presents and discusses techniques and applications in the fields of x-ray scattering, spectroscopy and microscope imaging. The resulting systematic collection of these advanced tools will benefit graduate students, postdocs as well as professional researchers. Jinghua Guo is a staff scientist of Advanced Light Source at Lawrence Berkeley National Laboratory. Having obtained his academic degrees from Zehjiang University, China (BS) and Uppsala University, Sweden (PhD), he spent his career working as faculty member in Uppsala University before taking up his present appointment at LBNL. His research interest has been soft x-ray spectroscopy and materials science. Dr. Guo has authored over 180 peer-reviewed scientific publications.